Walmart is the largest publicly-owned retail company in the world. Founded in 1962, Walmart currently has over 9759 retail stores in 28 different countries. In the United States, the company includes Walmart discount stores, Supercenters, Neighborhood Markets, and Sam's Club warehouse membership clubs. Landing an internship at Walmart is one of the best ways to get your foot in the door and improve your chances of landing a full-time job at the company after graduation. Walmart offers internships in every aspect of the business and interns are afforded the opportunity to work on projects that provide valuable hands-on experience and learn from experienced professionals. Unlike many other companies (including some of the top Fortune 500 ones) Walmart has a well-structured internship program that sets up students for success. Walmart’s Corporate Internship Program provides students with an opportunity to gain the practical skills they will need to be successful once they move from the academic classroom to the real world. Interns will get a realistic view of what it’s like working in a retail environment in a very faced-paced organization. The company's internship takes education and success very seriously and even offers students help with resume writing. And, the company doesn't stop at retail. Walmart offers resume samples for journalists and nurses on its website. To understand the variety of internships available, in the past, interns have been involved in redesigning the website, researching consumer behavior, and working with development teams to create new products and programs. Walmart’s Leadership Internship Program was designed for students currently enrolled full-time in an advanced degree program. 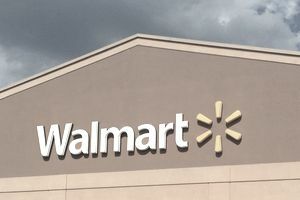 During their time with Walmart, leadership interns are required to take on a leadership role in one of the major divisions of the organization. Leadership interns are also expected to complete a high-level project that is based on the specific department's current needs. After completion, interns present their project to senior leaders and a panel of executives for review. Taking leadership a step further, Walmart also sponsors an Emerging Leaders Internship Program whose purpose is to create positive change in Washington, DC, and in their local communities. The Emerging Leaders Internship Program is a paid opportunity that lasts for one semester. Those participating in the program work on Capitol Hill, in federal agencies, and for non-profit organizations. Upon completion of the program, alumni of the program bring back to their community what they learned about politics and the public policy-making process after learning what it takes to pass legislation, how to form public policy, and how to create coalitions. If you are preparing to become a pharmacist, Walmart internships can be a great place to start. Interns that join Wal-Mart to help prepare for their future to become a pharmacist get to experience learning about leadership and management as well. Internships are available for first, second, third, and fourth-year students. Pharmacy internships are based on each student’s level of education. All pharmacy interns can apply online. You can also visit Walmart and Sam’s Club on Facebook.